So you’ve got your content down to a T, but wait! Has it been enriched with visual elements? In today’s attention starved day & age, information is best consumed if it’s visual, or if not at least accompanied by a few graphics. Pictures, Videos, Infographics…in the digital age it’s all about visuals, and downplaying on the graphics would make your well-written content to appear as boring, unengaging and risk being sidestepped. While appealing graphics are a must to go along with your message, they don’t have to cost an arm and a leg to create. Especially, with some free and easy-to-use tools that are readily available. Can’t afford a designer? Don’t have the budget to spend on Adobe Photoshop subscription? Or don’t know how to use its complicated features? Don’t fret! There’s a plethora of free tools and software that can help you become a DIY graphic design guru. From template based web page builders to free graphic designing software, you will be spoilt for choice. Here are 3 amazing tools that have been on my radar for some time – Easy to use, free and readily available to steer you on your graphic designing journey. 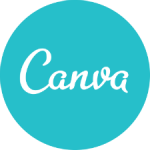 Make stunning posters, website graphics, Facebook covers, invites, and even multi-page presentations quickly with Canva. You can choose to start from scratch or use their pre-designed templates. Choose a layout and background from their extensive library. Search for graphics, photos and fonts or upload your own with its user-friendly drag and drop feature. While loads of free designs are available, premium designs can be bought from $1 onwards! You can even collaborate and work together on a project, thereby letting you share and edit projects with others. No Photoshop, no worries! Use GIMP, which is the acronym for GNU Image Manipulation Program – an excellent alternative to Photoshop. It’s a freely distributed downloadable software that can be installed on your laptop. It can be used as a simple paint editor or as a professional photo retouching software. If you’re a newbie with basic photo-retouching requirements just catch up on tutorials available on you-tube that are specific to your requirements. You will be an expert in no time! Create photo montages, free form drawings, logo designs, graphic manipulation for infographics, and the list goes on. 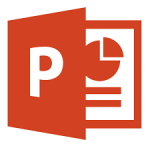 All of PowerPoint items can be grouped together as coherent image that can be saved as a jpg or png file. What’s more, you can even make simple videos with all that fancy animation that’s available. Don’t believe me? Check out this animated video link on You Tube and you’ll be astounded to see the animation capabilities of this tool. If you made it this far then I hope this information will prove useful to you. Armed with these simple but effective tools, even the not-so-savvy designer can go wrong. Munira is a visual arts person adept in drawing, painting and digital graphics design. She offers such services to businesses on a freelance basis. Her other interests include painting wall murals. Excellent Post !! Thank you for Sharing…. I will be sharing and recommending this post to my blogging friends.